This won’t earn me the Mother of the Year award, but I felt somewhat proud about the snack I served my sons last week. It took little effort on my part, other than opening a container of just-picked locally grown strawberries and slicing a loaf of freshly baked whole-wheat sourdough bread. 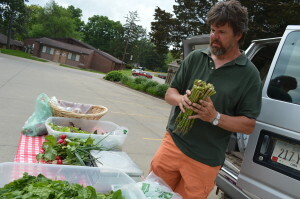 They loved it and I owe my thanks to Farmer Dave’s CSA (community supported agriculture) enterprise. I had a large garden plot for many years and often felt overwhelmed with the amount of vegetables that would all be ready to harvest, all at the exact same time. But David Miller, who farms in rural Mount Vernon, has it down to an art form. 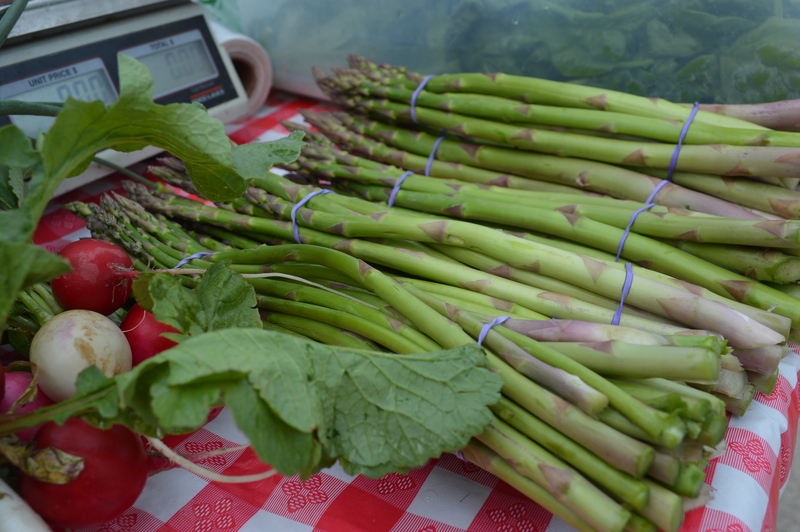 In a CSA, the members pay upfront, and in return, receive weekly shares of the farmer’s vegetables and, sometimes fruits and more. This is my first year to try a CSA and I’m happy to say that so far, I don’t feel overwhelmed. 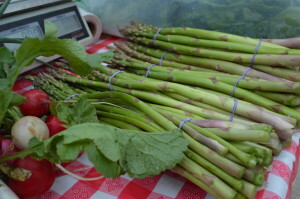 Asparagus, plenty of lettuce, radishes, onions and my favorite, the strawberries, have been among the offerings in these early weeks. Generally, by the end of the week, we’ve eaten everything and I’ve had some incredible salads almost daily since the CSA began three weeks ago. Some of it takes creativity – grilled garlic scapes and beets added to a flavorful salad this past week – and ultimately, we’re eating better and the freshness and taste can’t be beat. The bread is one of the add-ons that some CSAs offer, which come with a little extra cost. For that freshly baked bread, I have to thank the talented Danielle Martin, well-known for her baking skills at the Mount Vernon Farmers Market. Follow along with Farmer Dave on his Facebook page and I’ll keep everyone posted on the CSA goodies in the weeks to come.